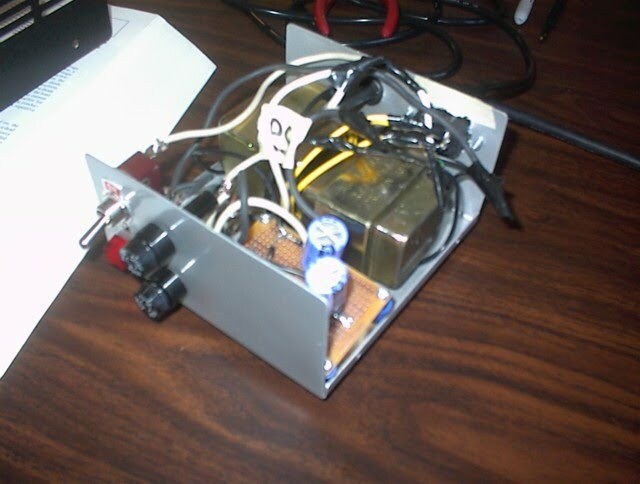 I built this PS from a simple schematic found in the Jan 2003 QST article by Steve Johnston, WD8DAS. 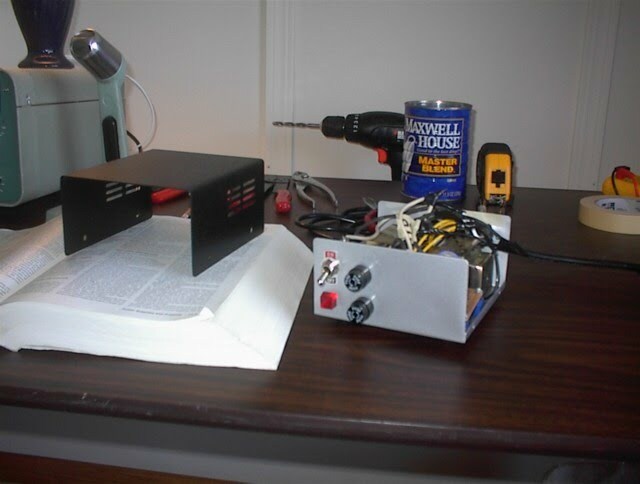 This PS provides 320 volts DC under no-load (or light-load) conditions. 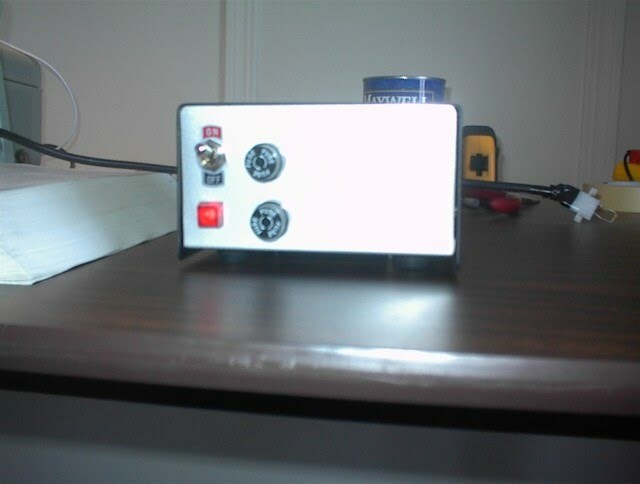 It was built to power a tube transmitter (also from QST) which i'll soon post pictures of here... probally closer to 250v DC under a true load. We'll see... You'll notice that the right side of the front panel is purposely left empty. 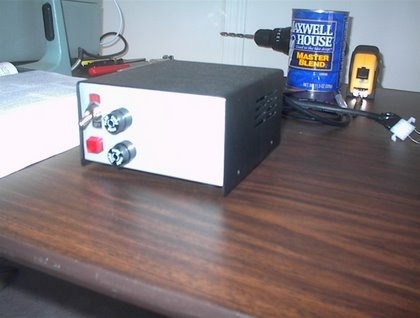 This is so i can add a 500v DC panel meter when it arrives.